This trek offers a unique and spectacular trekking into the remote trans-himalayan mountain area with an influence of Tibetan Culture. 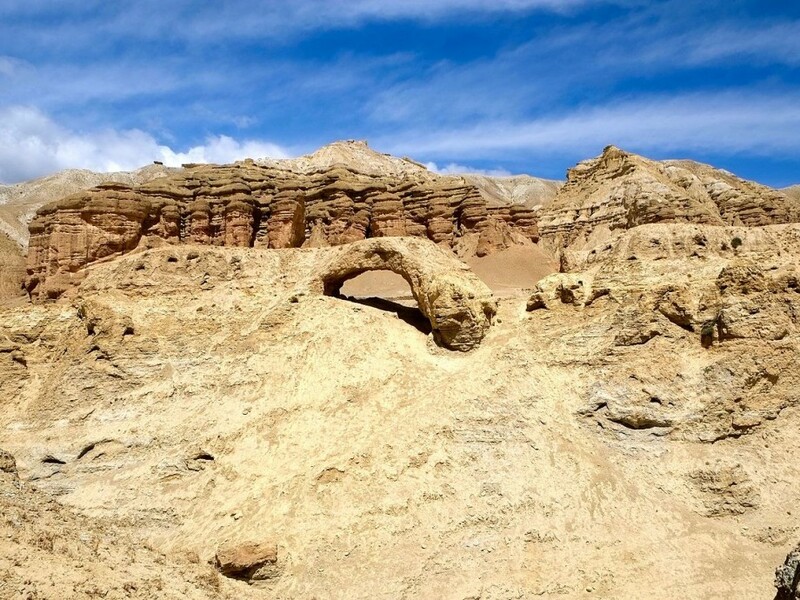 The high desert region of Kaligandaki and south to Kagbeni referred to as Upper Mustang has the most unique and breathtaking landscape which takes you to desert dunes to green lush valleys as you hike through thousand year old monasteries, caves and tribes. The end point to the trek takes you the previous forbidden and mysterious Kingdom Lo-Manthang! Visit ancient monasteries, caves and tribes. Day 1: Arrive in kathmandu and transfer to hotel. Day 2: Full day guided sightseeing of Kathmandu city, Swoyambhunath Stupa and Patan City. Day 19: Transfer to the airport for final departure. © 2017 The Explore Nepal Pvt. Ltd. All rights reserved.